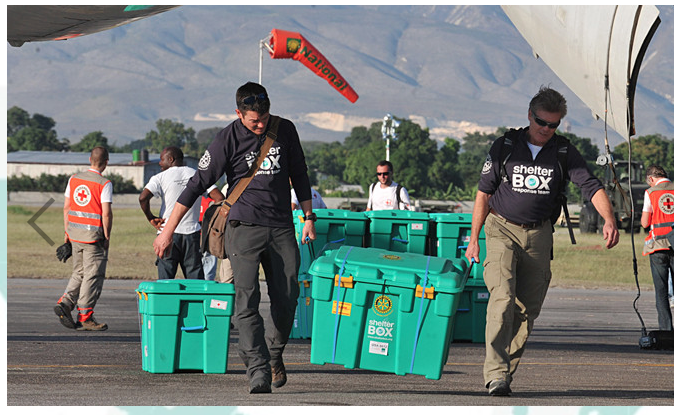 Shelter Box is an international emergency response program started by a Rotarian. This video (2012) shows the amazing dome-tent home, living supplies, including water purification, and tools to survive that come out of a green Shelter Box. What happens when you lose everything due to natural disaster or evacuation from dangerous combat zones? A team from Rotary-sponsored Shelter Box is on the ground fast.